Golfasian is pleased to announce our newest golf destination, Jakarta, Indonesia. I was lucky enough to be given the task of inspecting and reviewing the hotels and courses and I was pleasantly surprised with the high quality and very affordable golf on offer. Most golfers do not consider Jakarta as a golf holiday destination however it is well worth the trip and should be on every golfers bucket list. There are plenty of flights from most major cities to Jakarta and once you arrive, you have a selection of around 35 courses located in the 3 main golf regions. Jakarta, Bogor and Bandung. My trip started firstly in the Bogor region. Just a short 1 hour drive from the airport on the Jagorawi toll road. Many well know courses are in this region with designs by well know architects such as Gary Player, Greg Norman, Jack Nicklaus and Arnold Palmer. Bogor is a mountain setting with spectacular views and most courses have some great elevation changes and interesting holes. I was impressed with Rainbow Hills, Rancamaya, Emeralda and Sentul Highlands. All excellent layouts and well-conditioned. You could easily spend 1 week or more in Bogor as there are many courses to choose from. Apart from the golf however, there was not much else to do particularly if you are looking for nightlife but is a nice relaxing place with cooler weather than in the city. The next leg of my trip was to Bandung. It is around 4 hours by road and there were really only 2 good courses I would recommend in this region. The Peter Thomson designed Mountain View Golf Club had some interesting holes, quite a hilly course and the views were amazing. I also noticed it was much cooler in Bandung and the Intercontinental was a very impressive hotel. The other course I played was Bandung Giri Gahana which was also well conditioned and enjoyable to play. As with Bogor, there was not much in the way of nightlife however there are some worthwhile sightseeing excursions such as Tangkuban Perahu which is an active volcano and makes for a good half day trip. From Bogor, I returned to Jakarta City which is about a 3 hour trip. What an amazing city. The place has a real buzz about it. Much like Bangkok however the roads and infrastructure was superior. There are plenty of excellent hotel options to suit all budgets and tastes and the people are very friendly and welcoming. There are plenty of places to dine and plenty of nightlife to be found. I had 4 rounds of golf lined up over the next 5 days and the courses didn’t disappoint. 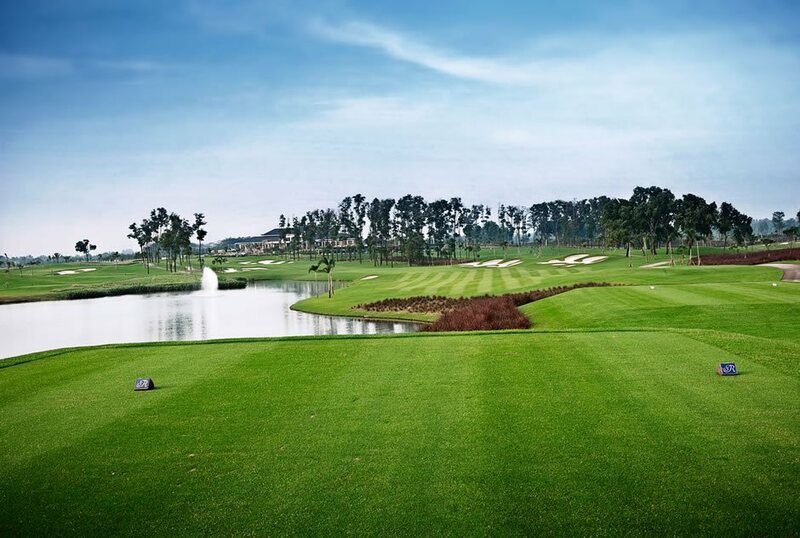 First was the Jack Nicklaus designed Damai Indah Golf, Bumi Serpong Damai (BSD) Course. An impressive layout however the conditions while good were not to the same level as some of the other courses. It’s sister course Damai Indah Golf, Pantai Indah Kapuk (PIK) Course was one of my favorites. Robert Trent Jones Jr designed and close by to the airport which is handy if you want to get in a round on the day of arrival or departure. 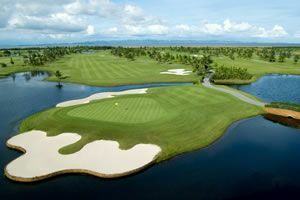 Other courses worth playing are Cengkareng Golf Club (also near the airport) and Imperial Klub which is a Desmond Muirhead design. A quirky course but good condition and worth a visit. The highlight of the trip was Royale Jakarta, home of the Indonesian Masters. This is a must play and it delivered in spades. One of the better courses I have played anywhere in Asia. Superb conditions and 27 holes to choose from. I can’t speak highly enough about this course and at around $80 on weekday including cart and caddie is a real bargain. Jakarta is infamous for its traffic congestion and is something you need to be aware of when planning your trip. With proper planning from our experienced golf travel experts, you can avoid it for the most part by traveling to/from the courses against the prevailing traffic flow. As is the case with Thailand and Vietnam, the caddies in Jakarta make for an enjoyable golf experience. They really do a great job taking care of your every need. I found the caddies here really professional and most speak good English. 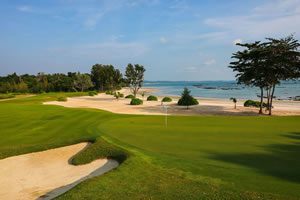 My advice is to plan your Jakarta golf holiday trying to avoid the weekends. Particularly Saturday and Sunday mornings as the green fee rates are maybe triple the price of weekdays. If you can’t avoid the weekends then the afternoon green fees are a little less than the mornings. If you are looking for a new and interesting destination, Jakarta will not disappoint. The prices for hotels and golf are relatively cheap compared to other destinations in the region and the golf is superb.